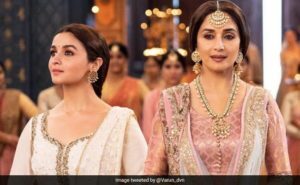 Bollywood filmmaker Karan Johar’s Kalank is the movie audience are eagerly waiting for. Yesterday the first song of the film ‘Ghar More Pardesiya’ was released. In this song, cute Alia Bhatt and eternal beauty Madhuri Dixit has been sharing the screen. The song became viral on the Internet as it was released. ‘Ghar More Pardesiya has been seen in more than 10 million times in total on social media in twenty hours. This song is trending on YouTube at number two. 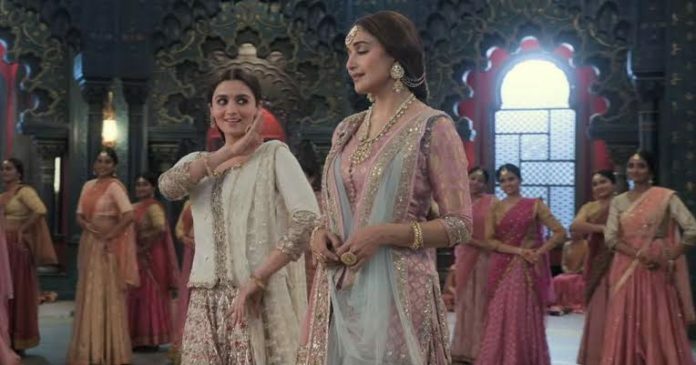 Alia Bhatt won the hearts of everyone with her dance. Alia is seen in a simple look wearing a white cloak in Song. At the same time, there is a heavy look of Madhuri’s Pastel Lehanga as Bahaar Begum is appreciated by the auditions. Along with Alia Bhatt and Madhuri Dixit, the song stars Varun Dhawan also, who is just walking around. This song is based on the Ramayana, in which Sita’s vision is shown. It has been written by Amitabh Bhattacharya. The song is sung by Shreya Ghoshal and Vaishali Mahade, Pritam has composed it. If you talk about dance, ‘Ghar More Pardesiya’ has been choreographed by Remo D’Souza. Let us tell you that before this, Alia shared the song on Instagram. Seeing the song can be said that the set of films is quite grand.